Everyone knows that in Texas, football is a religion. And what goes hand-in-hand with football games? Tailgating, of course. Watching a football game is nothing short of a rite of passage in the USA. But the badge of honor doesn’t simply come from knowing when your team scores a touchdown or stupidly punts on the fourth down. It’s about more: the perfect pregame chili, the ultimate Mimosa or Bloody Mary, the team-colored desserts, decorations and dedication. 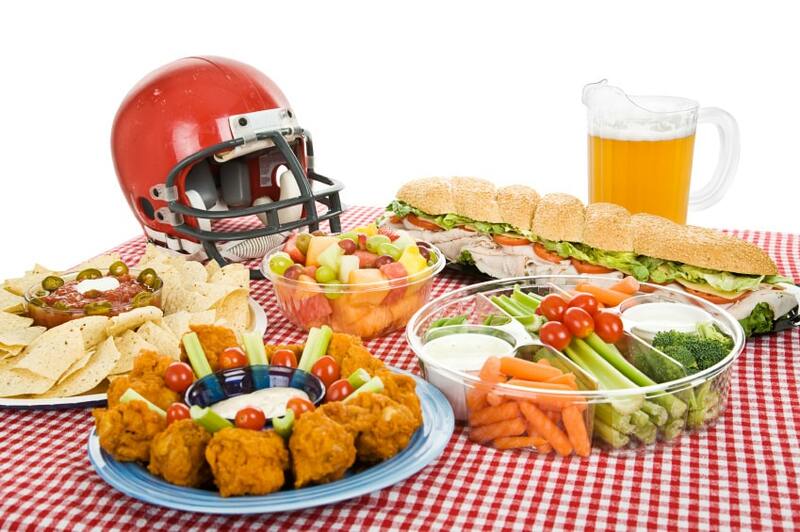 Planning and executing the perfect tailgate is no easy task. But, if you follow these tips, you’ll be on the right track to becoming a Texas tailgate expert. The first thing to keep in mind when it comes to planning a tailgate is location. Where exactly are you going to spend the time before and after the game? That might seem like an obvious question, but these plots can sell out long before the season starts. If you’re tailgating IRL, I cannot advise you enough: Reserve your territory. Although, if you’re tailgating from your couch, you’re in good shape. Be sure to keep things simple. If you want to relax in your insignia emblazoned folding chair, plan no more than one or two foods that will require on-site cooking or special care. Not only that, but plan ahead. Chop, slice, and assemble whatever you can at home. Put it all in waterproof zip-top plastic bags or those handy plastic tubs from the deli, which stack neatly and take up minimal room in coolers. The more you pack in disposable containers, the less you’ll have to lug home or clean. When possible, use several smaller containers, rather than one large one, so you can take only as much as you need out of the cooler and keep the rest cold. If you want to look like you know what you’re doing at your tailgate, team-colored everything is a must. Decor and setup go hand in hand. Don’t buy a white tent if down the road you’re going to want team colors. Just sit yourself down and admit that you don’t want to be the one weirdo who didn’t invest heavily in color-coordination, and put those team-themed plates, silverware, cups, tablecloths and chocolate-covered candies on the credit card. The most important aspect of any successful tailgate is your menu—both food and drinks. Whether you’re team Bloody Mary or whisky over ice, a well-stocked bar will make your tailgate. For a Bloody Mary bar, you’ll need: tomato juice or Bloody Mary mix, Worcestershire sauce, vodka, pickles, more pickles, all the pickles, pepper and vinegar-based hot sauce. Oh, and don’t forget the beer. In terms of food, every tailgate has its go-to food: hotdogs, hamburgers, chili, chips, etc. Big games require snacks because you’ll need fuel for the whole day. Round out your menu with make-ahead or ready-to eat fare that can be served at room temperature. Think cornbread, cookies, veggies, chips, and dip. Bonus points for finger foods: They minimize the need for utensils. While these are just the basics, a successful tailgate is only truly successful when you add your own personal touch. Have fun with it! Remember, your team can lose the game, but you can never lose a tailgate.